One the things I learned with my Blue Ridge Mountain Life site is that Facebook can be a huge traffic driver, if you play your cards right. As a result of the success of the Facebook page for that site, I started building out Facebook pages for some of my niche sites, primarily to drive traffic to them. A formula that I’ve found that works really well is to find a profitable niche, that is photogenic, meaning the niche itself has lots of beautiful photos and build a niche site and Facebook page. For example, let’s say you find a travel niche, you can build out a Facebook page that shares exotic travel photos, and link out to your niche site in those posts. Photo based pages on Facebook do REALLY well. I’m using this very strategy right now to build out different Facebook pages to drive traffic to my niche sites. But here’s the problem I was facing: Finding photos, scheduling and posting them for multiple Facebook pages is time consuming. I was spending 3-4 hours a day on my pages, including time spent promoting them. I wanted to build out even more pages to drive traffic, but I just couldn’t justify the time. I even thought about creating Facebook pages for the sole purpose of promoting Amazon affiliate, Teespring, and other affiliate offers. But again, I just didn’t have the time. Thanks to my friend Servando, who writes at Stream SEO, I learned about a new tool that has literally changed the way I think about and manage my Facebook pages: FPTraffic. FPTraffic allows you to define a posting schedule for your Facebook page, then add content to a “queue”. The items in the queue automatically get posted to your Facebook page, based on the schedule you defined. Allows you to quickly and easily find photos from Bing and Tumblr and add them to your queue. Upload batches of images to your queue from your computer. Allows you to queue up CPA affiliate offers using a link masking tool. This is great for things like Teespring campaigns, as Facebook has recently started flagging them as spam. Allows you to queue up links, so you can link out to your websites. The first night I started using it, I queued up a whole months worth of content for four of my Facebook pages in about an hour. Other than monitoring comments and messages, I didn’t have to touch those pages. Guess what? From the Amazon affiliate links, from those pages, I earned almost $100.00. FPTraffic is a steal at only $10.00 per month. I’m already earning enough income from those pages I automated to pay for it. Right now, if you sign-up for FPTraffic, your monthly cost will stay at $10.00/month for life. As the product continues to roll out, the monthly cost is going to go up, so get in now while the cost is low. Remember, I only promote products I use and really like, so this isn’t a post I wrote as a sales pitch. I’m getting tremendous value from FPTraffic, and I think you will too. FPTraffic automates things so much, I realized that I could start building out those pages I mentioned earlier where their sole purpose was to earn money. In the past couple of weeks, I’ve built out three new pages intentionally targeting various niches where I can share photos, memes, recipes and news links. I mix into this Amazon and other CPA affiliate offers. Until the pages reach a few hundred likes, I don’t share any affiliate offers. I slowly introduce more and more affiliate offers as the page likes grow, but still keep the mix of content to affiliate offers to about 80/20. I’ve found that if you go much over the 20% for affiliate offers, your like count, spam flags, and post hides tend to begin trending upward. All of these things negatively affect your page’s reach. Right now I have four pages specifically sharing photos, links and affiliate offers. My other pages have websites behind them, and their sole purpose is to funnel traffic to those websites. I’m planning to build out another 5 – 10 pages just for the purpose of earning income via affiliate offers. Once I do, I’ll let those pages grow and see how the income does. If the strategy proves successful, I’ll create even more. I mean seriously, it’s so easy, why not? Let me walk you through the process I’m using right now. This is just an example and not an actual page I’ve built – Although it could be a good idea. There are a number of tools I use to find page ideas: Google Trends, iFunny, imgur and Viral Content sites like: Viral Nova and BuzzFeed. I also use my kids. My two college students and two high schoolers are a great source of ideas that appeal to younger audiences. Just be careful here, teens don’t spend much, so you might not see a lot of success with affiliate offers. I like to target middle age and retirement age people, as they tend to have a little more disposable cash. Another tip: if you already have existing pages, try to come up with ideas that are related or that might appeal to the followers of your other pages. This allows you to cross promote your pages and grow your new pages faster. For this example, lets use Sunrises. People love beautiful pictures, especially sunrises and sunsets, and there are plenty of images available. You could promote calendars, photo books, and many other products from Amazon, and also promote Travel related CPA offers. Follow the normal process for creating a page, but pay particular attention to the name. Search engine principles apply here, because Facebook pages are indexed by search engines AND Facebook has Graph search, which people will use to find your page. For our example, we’ll use “Stunning Sunrise Photos”. Find a gorgeous sunrise image for the Cover photo, and a sun photo or character for the profile pic. Pull up FPTraffic, goto the Schedules menu, and set a schedule for your page. I generally do 3-4 posts per day, but it depends on the page. You’ll want to play around with this some to see what number of posts per day achieves maximum reach for your page. Next, use the Photos menu to search for sunrise photos. I usually do a mix of Bing and Tumbler images. I’ll also use the FPTraffic Chrome Plugin to find images on Flickr when I have time. I usually find and queue about 100 images. Next, click the YouTube menu, and find 20 or so YouTube videos that show sunrises. Make sure you watch them, sometimes the video content isn’t what it appears to be. Trust me, I learned this the hard way. Once your page gets above 100 likes or so, you’ll want to include some Amazon offerings. To do this, click on the Amazon menu. Make sure your Amazon affiliate ID is set, if you don’t set it, it will default to the one for FPTraffic, meaning you get no money. If you aren’t a member of the Amazon affiliate program, head over and sign up. Tip: I use a unique affiliate ID for each page so I can track which pages are earning money, and which aren’t. In the search field, put sunrise and you’ll see there are a number of products. You could also search for Sun, Sunshine, sun rays, etc. Queue up some products. I usually try to find 20-30 (Remember the 80/20 rule). Find some related Facebook groups and share your posts into those groups. Link out to your page in the text. Just double check the group policy to make sure this is ok, most are, but some aren’t ok with this. Participate in Share Days. Share Days are special days page owners have where they allow other pages to share their links. A great resource to find share days is: The Social Share Page and this page also had two share posts every day. Find other pages in your niche and share some of their posts on your page. Make sure you add a comment, while logged in as your page to their post that you are sharing. Something like “Love this photo, sharing it on my page”. This will not only expose your page to their followers, but also get the attention of the page owner. 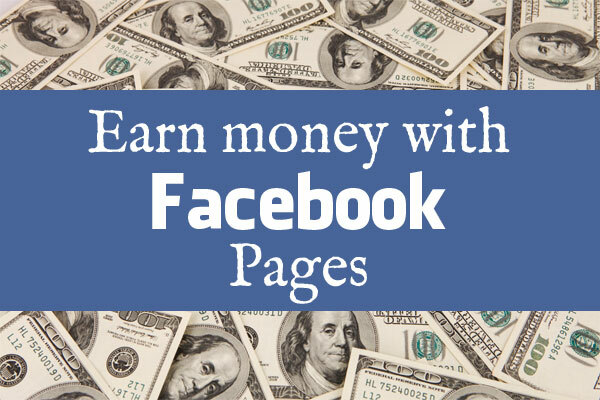 Many page owners will return the favor and share your page as well. A great way to gain new likes! Pay to promote. I haven’t done this yet, but has my page income starts to build, I will. You can buy likes and also pay to promote your page and posts. A great option if you have the money. Cross promote your pages. Make sure you leverage your pages to promote each other. Share posts from one page to another, and share the page itself and welcome people to come over and like it. I’ve found this to be the single most effective way to grow your new page. Just be sure the content is relevant. I’m fairly new to this income earning strategy, so not sure how well it will play out long term. Right now though, it’s working pretty well, and it’s kind of fun. Using FPTraffic has been the key to making it successful and worth the time. I’ll keep you posted on how this strategy is working out for me. Let me know if you decide to create a page, and we can help cross promote each other! This technique can be very addicted, as I made more then 20k just from it in a few months. Nowadays I still love Facebook but I try to go for instant ROI from Ads instead of building Fan Pages. Even sites like Viralnova have lost 80% of their traffic due to Facebook’s changes, so this is almost a pay to play game at this moment. Great post BTW! I agree Servando, it really is. I can definitely see why you’re going instant ROI, Facebook reach is slowly getting lower and lower and thus building up a fan count is getting harder and harder. Definitely pay to play, and Facebook is loving every minute of it. Thanks, glad you enjoyed the post, and thanks so much for making me aware of the tool!